My curated collection of visuals! Browse sample main lesson book pages, watercolor paintings, chalkboard drawings, etc. for Man and Animal. Find a TON of animal art ideas!!!!!! Steiner mentions Zoology along with other topics in Discussions with Teachers (1919) and The Renewal of Education (1920). "Horns, beard, tail, neck, mane, and hoofs are best done justice in the drawing lessons after proper observation." Thornton Burgess wrote The Burgess Bird Book for Children and The Burgess Animal Book for Children. These are both fantastic books; contact me if you'd like to know the table of contents. Holling Clancy Holling wrote two books which would be particularly good for Man and Animal: Pagoo (hermit crab) and Minn of the Mississippi (snapping turtle). Wilfrid S. Bronson is another fabulous natural history writer. Browse his titles to see which ones would be good for the animals you want to do. I've personally enjoyed The Chisel-Tooth Tribe and Horns and Antlers. Ok, here's a dose of honesty. There's no "one book" I recommend for this topic. I've struggled with this over and over but there isn't one. The only thing I can figure out for these blocks is to choose your animals first, perhaps by finding the artwork that most inspires you and which you'd most like to do, and then get them in the proper order second -- Form/Function -- and then as the final step decide what is the best source for your story for that animal. That's the best advice I can give!!! 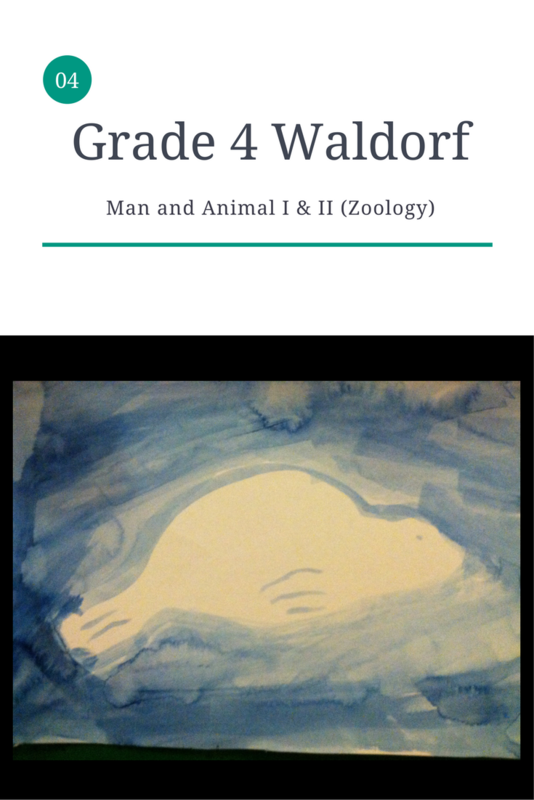 I've put together a comprehensive blog post with all of the pictures from both main lesson books (Man & Animal I, Man & Animal II). You can find it here. Below are the notes as to the animals I chose and the resources I used. But there are lots of other great resources, depending on which animals you pick! At the bottom of this page I've listed links to books with lots of animal poetry, one of my favorite things to add to this block. Enjoy! I adored the fabulous, fantastic, and FREE East African Teachers Training Manual 6: Human and Animal Studies. I really like the diagram on page 29 of the "Threefold Human Being." Please click on the link above and view it. I used this to help me choose which animals we'd study for each of the two blocks. "Thus we may see, as illustrated in the diagram, that just as a baby is born head first and slowly develops the trunk and limbs, so in the evolution of creation the 'head' creatures in the sea came first, then the 'trunk' creatures like the fishes, insects and reptiles and finally the 'limb' animals in the mammals. 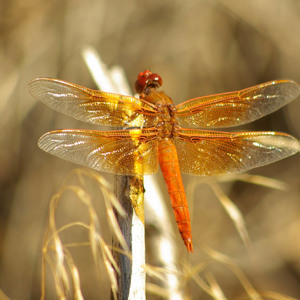 The different creatures are specifically linked to the form of the human being. To give the briefest possible explanation of the anthroposophical view, the human being is the animals put together and so the animals are the human being taken apart. This view is what separates the "Man and Animal" block from the traditional teaching of Zoology in the public school. Job 12:7-8 "They Shall Teach Thee"
again, Klocek's book is an excellent resource! watched a BBC nature documentary about the Sardine Run - Massive Nature: "The Deep"
chapter 9 of Kovacs "The Limbs"